For all the regular Friday Freqs out there, the Friday night sessions will now be happening twice monthly. Regularly on the 2nd and 4th Fridays of each month. 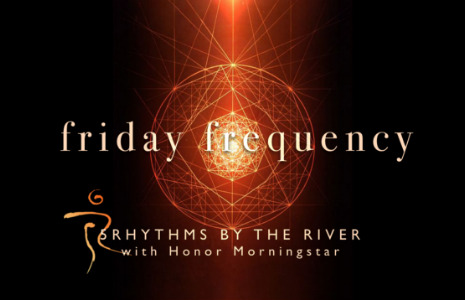 Friday Freqz is an open class for you to rock up, rock in, rock out, rock down, and rock through...to flesh out the mother tongue of the body, paint the heart-town red, and to free your soul! Using an eclectic mix and variety of fabulous tunes and beats from all over the planet to rock your world. These deep surging powerful rhythms are at their most profound, an invitation to awaken to our truth, and at their most basic, an outrageously fun opportunity to move the body and dance. You can't get it wrong. And you are always welcome exactly as you are. It is for anyone, any age, any shape, any level of fitness, any level of dance-ability. All you need is a body, and a willingness to move. The session is $20 payable at the door. Wear something that feels good to move and sweat in, and bring water to drink. Please respect that this is a sacred talk-free space, so please complete your conversations outside of the dance hall. This iconic hall is right on the edge of the river in Orleigh park. • FERRY: 7-10 minute walk from West End Ferry Terminal. ONSITE PARKING: Plenty of space in carpark to the side of the venue or on the street.